Who should I Cheer for in the 2010 World Cup? This is a great website that looks at a whole range of development indicators to find out which football team to support in the World Cup 2010 . Which country do Premier League Football Players come from? They say that football is a world game nowadays. Whether it’s the global reach of the fans from around the world watching the football on TV or the huge range of countries that the players come from then it can be surely called the global game. 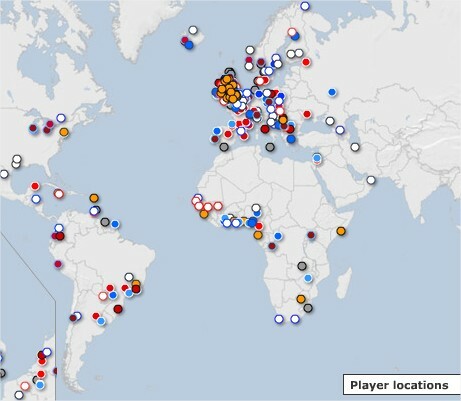 A great map here shows the location of Premiership Footballers according to the team they play for.